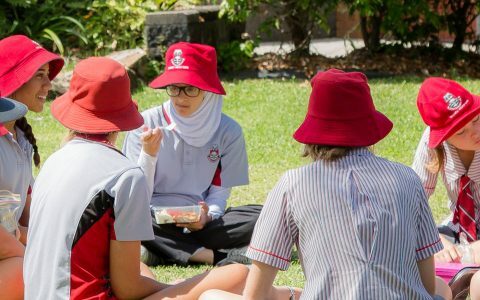 Whitsunday Anglican School has the capacity for 830 students from Kindergarten to Year 12. All teaching staff are supplied with a laptop or tablet for their educational use while employed at the school. All staff enjoy an environment that is welcoming and community based that strives to provide its employees with engaging and current professional learning and support in a team atmosphere. The School’s aim for staff is that each member clearly understands his/her role individually, within their team or department and holistically within the community, ensuring their value is recognised in the pursuit to attain personal, professional and School Strategic goals. This is achieved by the School’s transparency of process, authentic staff support systems and honesty in shared communication. Competitive salary structure for Teaching and Administration/Services staff. Access to additional Employer Superannuation Contributions when voluntary contributions are made. Staff Concession on fees for children attending Whitsunday Anglican School. Staff Scholarships for in-depth professional learning supporting the School’s objectives. 39 weeks of Term-time for a school year. Access to relevant and interesting professional learning opportunities. Opportunity to take on additional responsibilities for experience to maximise your leadership potential. First Aid training offered annually. Avenues to have excellence in teaching recognised with Highly Accomplished Teacher (HAT) and LEAD teacher structures. Access to Employee Assistance Program (24 hour counselling service). Health and Wellbeing – access to a range of initiatives to promote health and wellbeing. A site specific appraisal program, individualised to promote value and direction for all staff members. Job opportunities are updated on a continuous basis on this page. If a position is listed on this site it is currently available. Please ensure you investigate the due date and complete the Application for Employment forms honestly and to the best of your ability to be considered for any advertised jobs. If your intention is to be considered for supply, relief or casual work, please submit your details on the same Application for Employment forms and contact will be made to inform you of availability and process. Recruitment agencies e.g. Smart Teachers etc. Unless otherwise specified, all applications should be made by completing the Application for Employment form. All applications should be addressed to the Principal, Mr Andrew Wheaton. Closing date is Friday 26 April. Please download the Position Description below for further information. Closing date Monday 15 April. Closing date Friday 19 April. Please submit the above Application for Employment – Academic form if interested in becoming a supply / casual teacher at Whitsunday Anglican School.